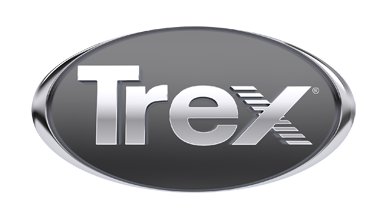 To help you start your project, Trex has put together three, ready-to-go outdoor deck designs. 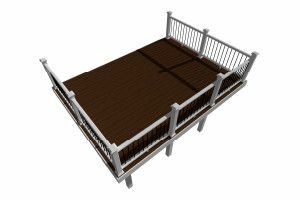 Whether you're building on the ground or off a second floor, we have everything you need to figure out the size, shape and look of your deck. Explore the designs below and get the full deck plans. This deck is a classic for a reason. With its unique bump-out, this plan is ideal for al fresco dining. 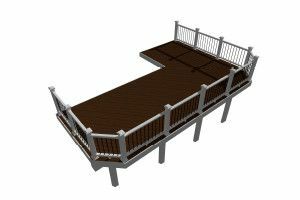 Check out this sophisticated spin on the classic deck plan. In deck planning there’s no one right answer, just what’s right for you and your home. 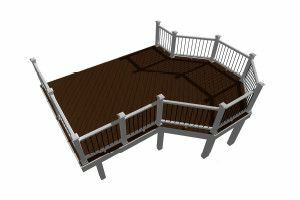 Let our Trexperts, Paul Lafrance and Kate Campbell, help you get started with planning your deck design. Then, explore even more design considerations.